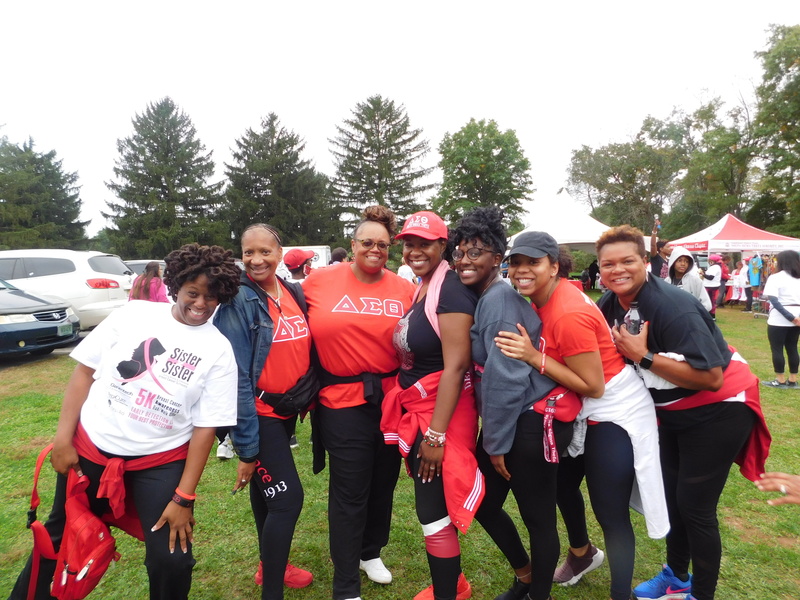 According to the American Cancer Society, while White women are more likely to get breast cancer, Black women are most likely to die from it. 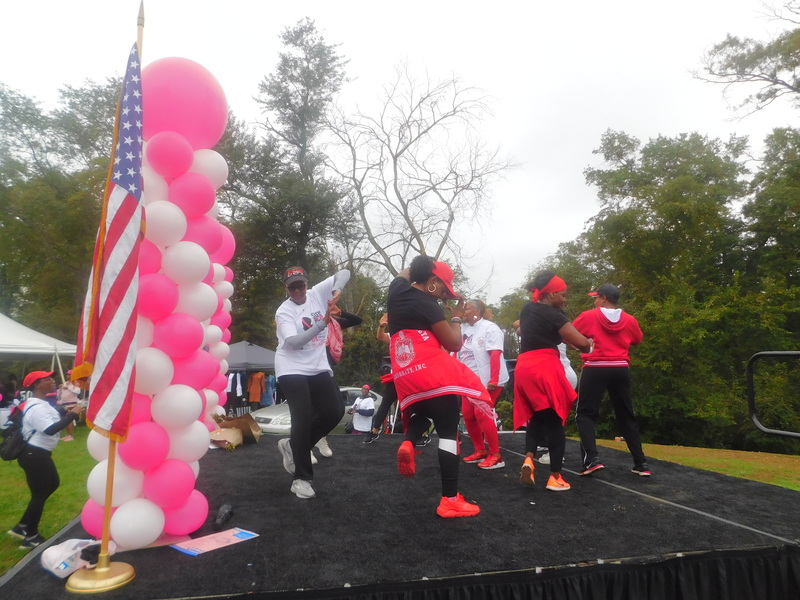 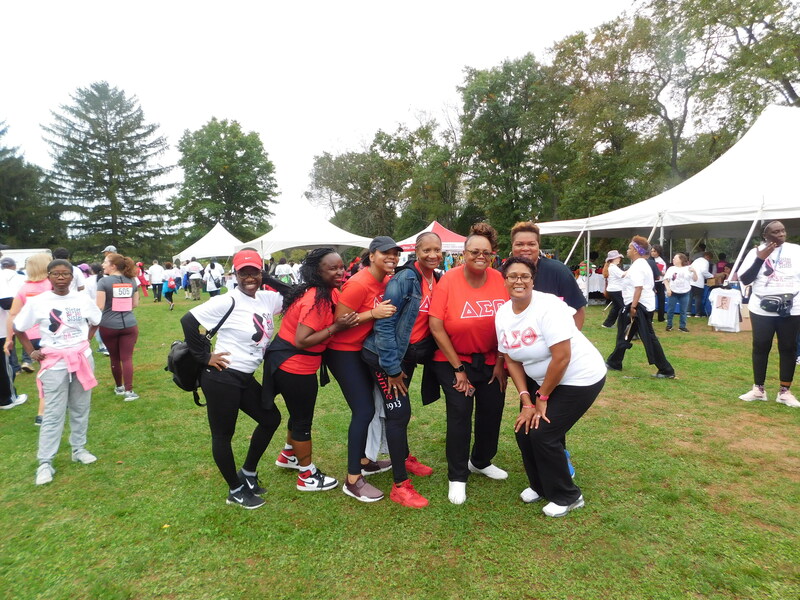 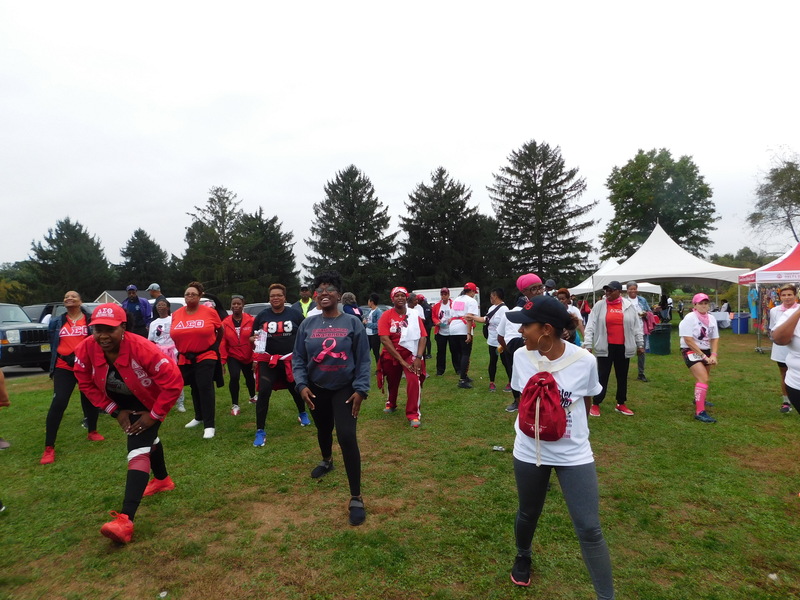 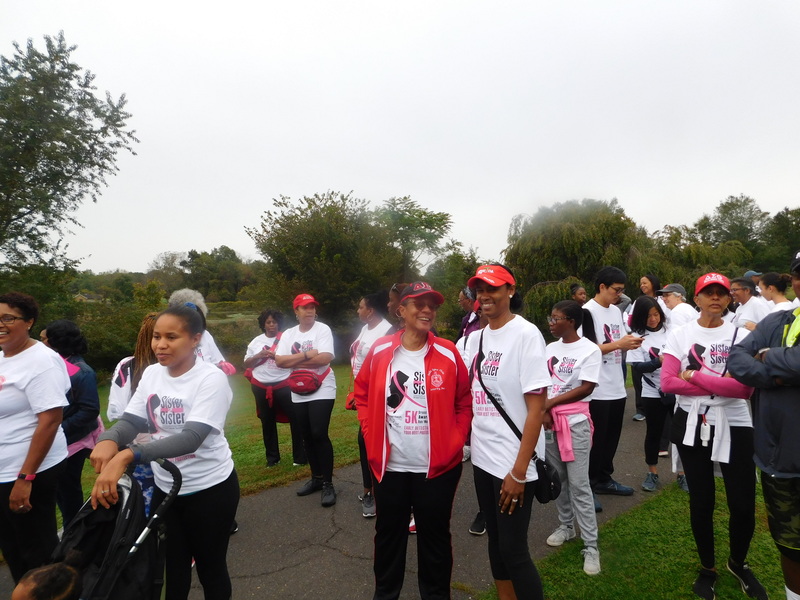 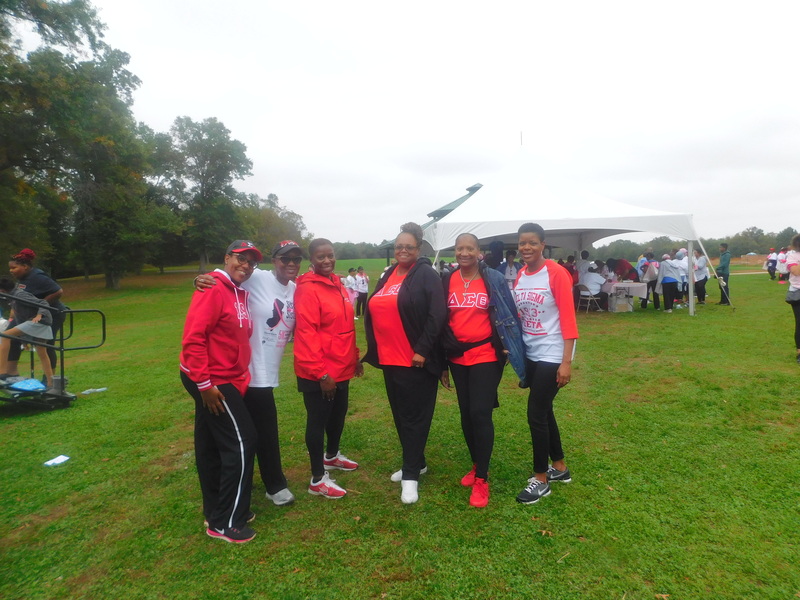 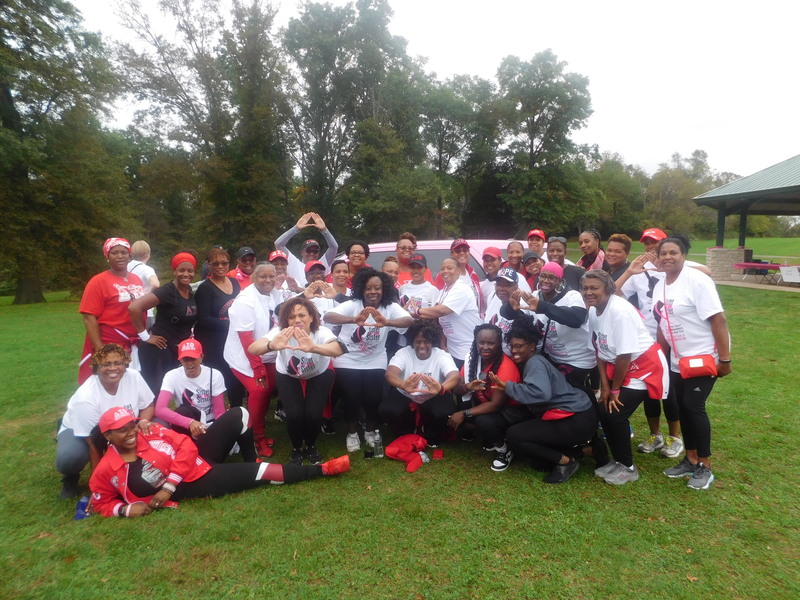 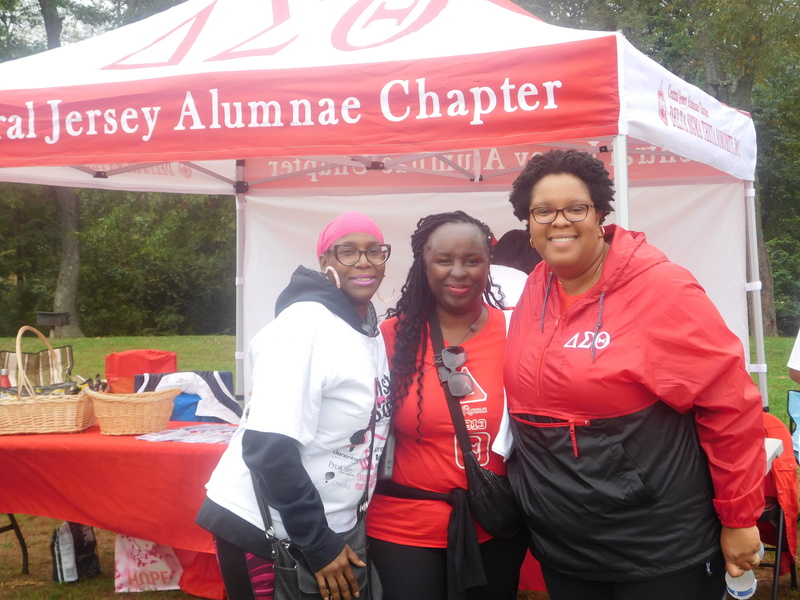 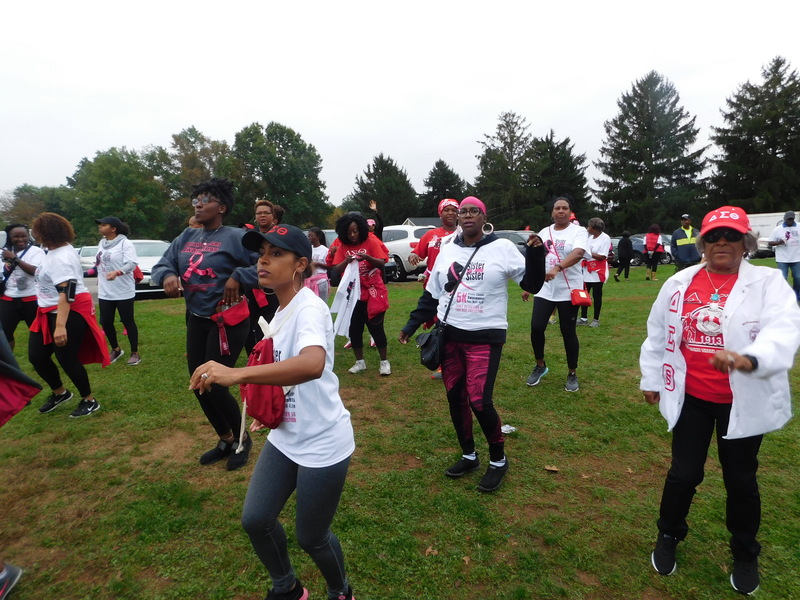 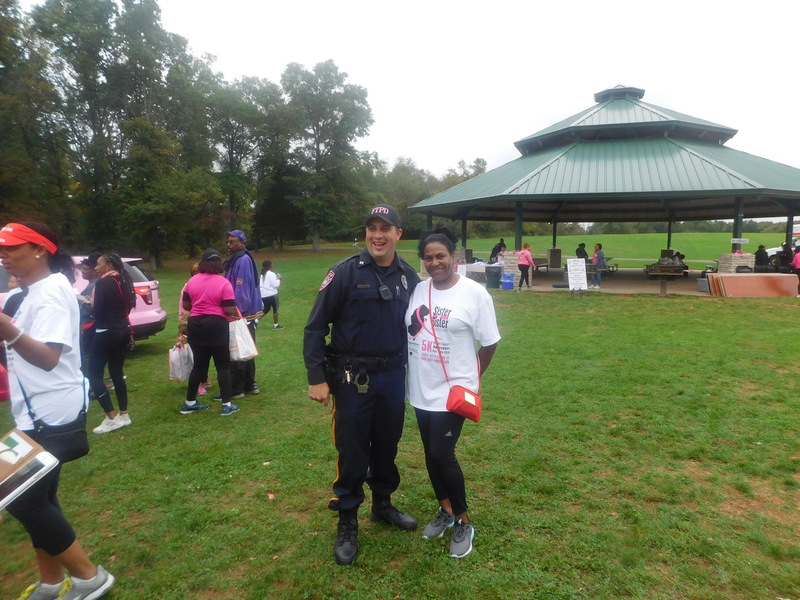 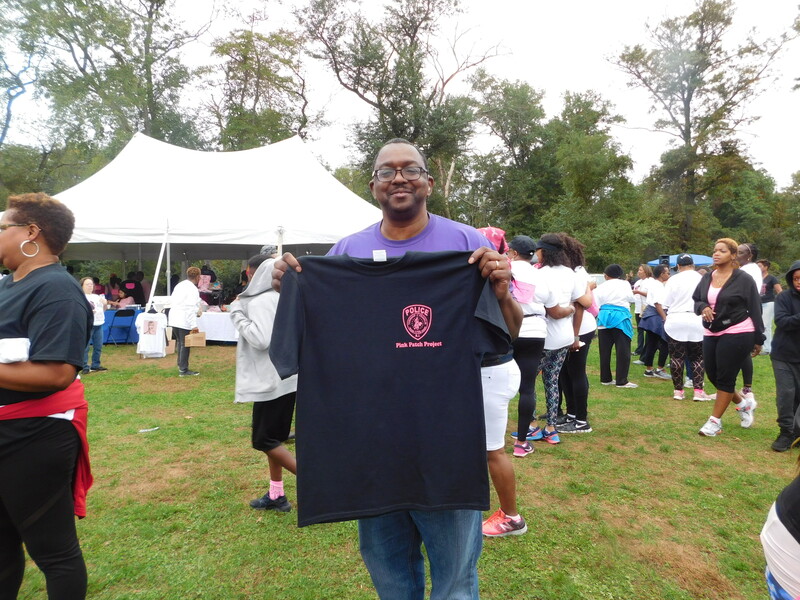 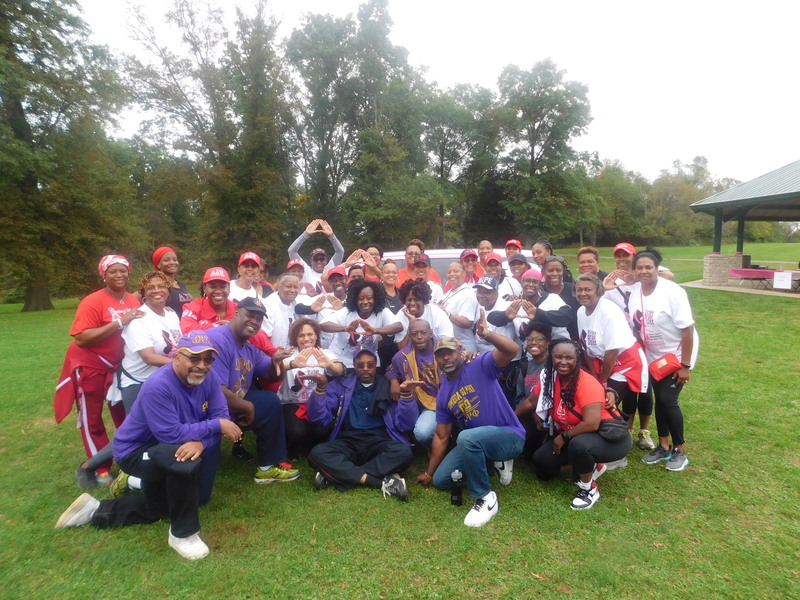 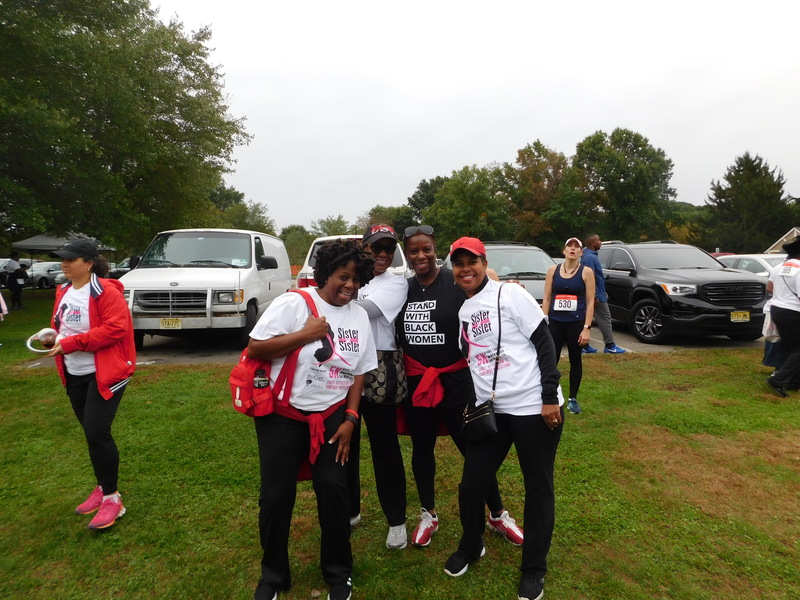 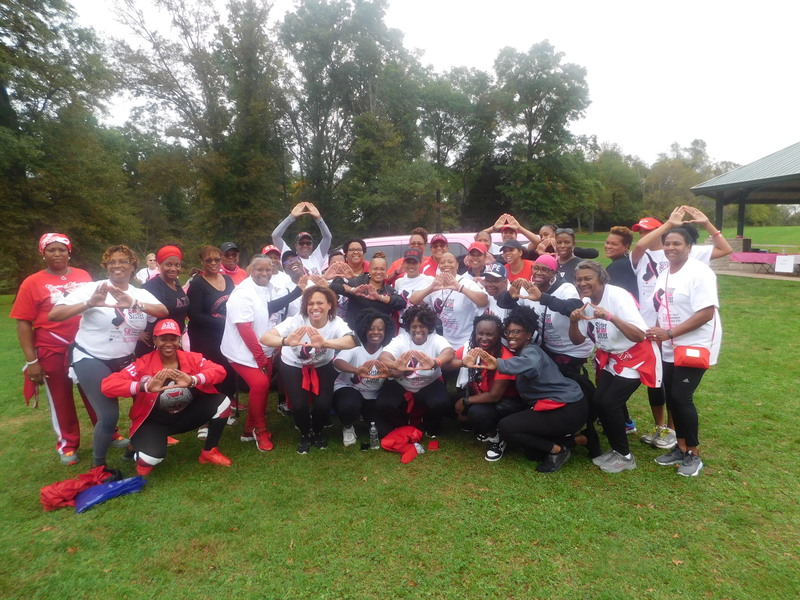 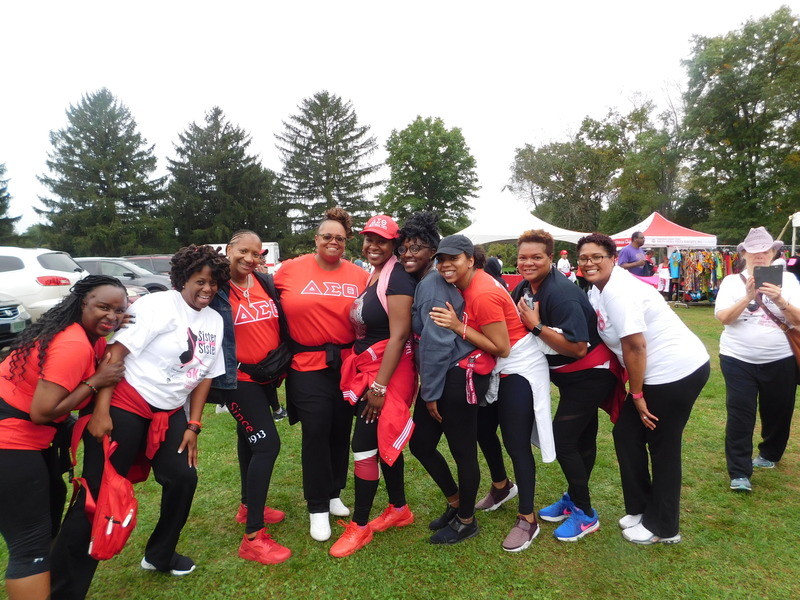 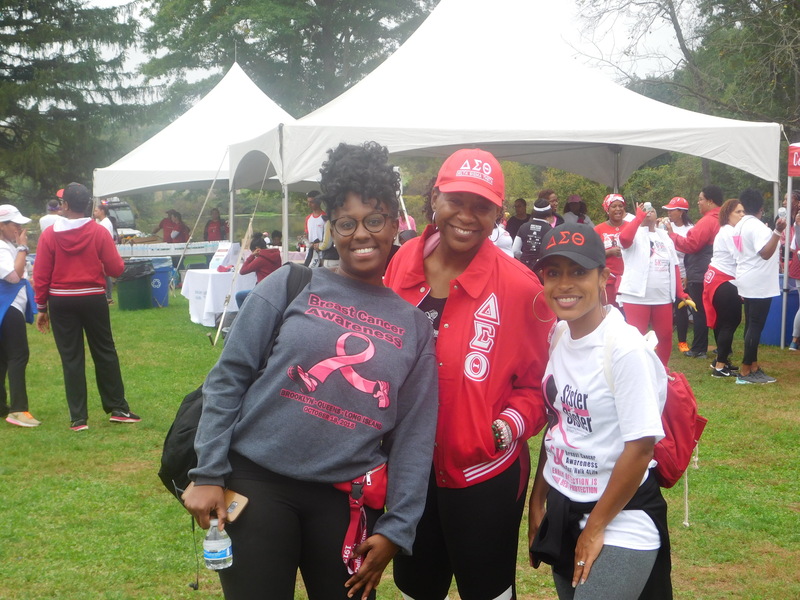 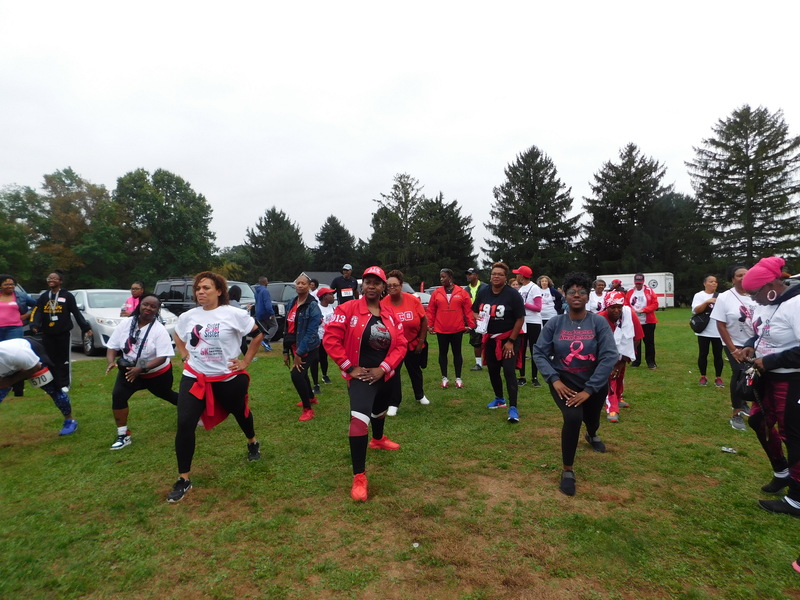 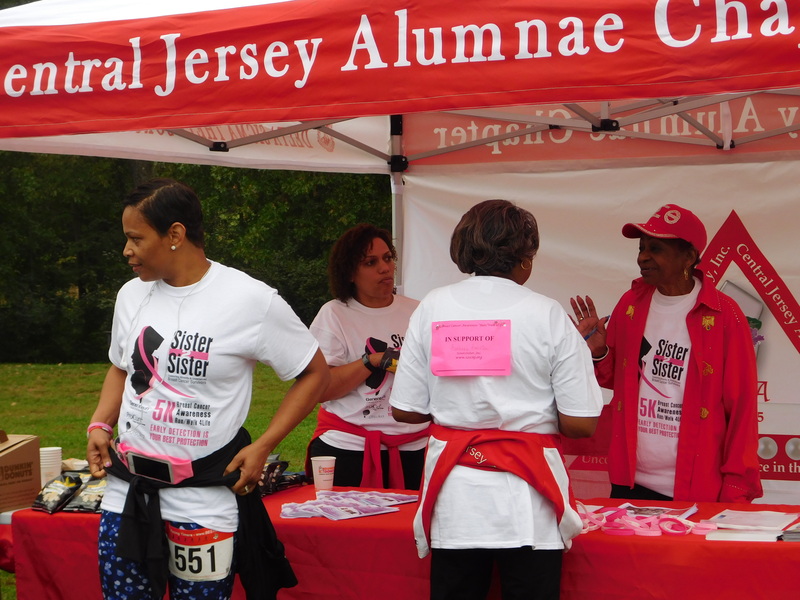 On Saturday, October 6, 2018, Sorors of Central Jersey Alumnae Chapter (“CJA”) of Delta Sigma Theta Sorority, Inc., walked and ran in the Sister 2 Sister 5K Walk/Run 4 Life event to help change that statistic. 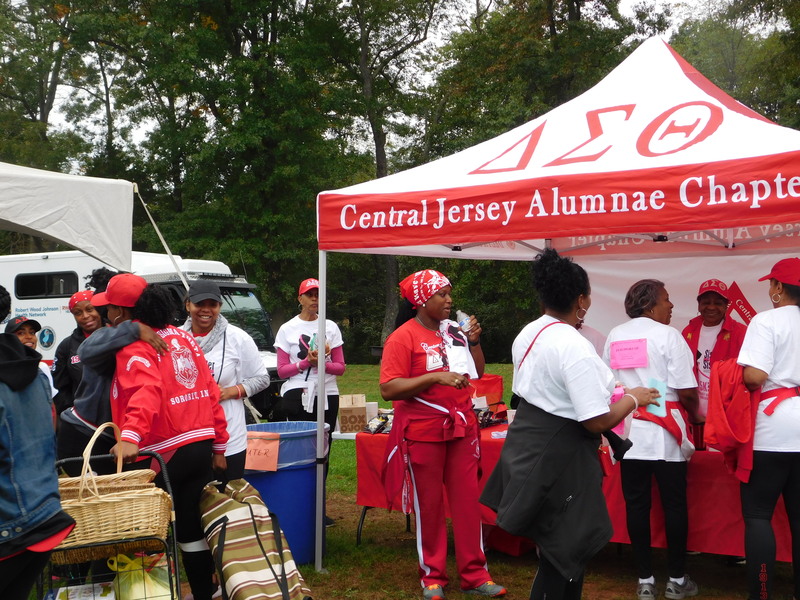 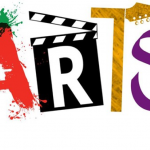 CJA’s participation in this event was led by its Physical/Mental Health, P-13 and Social Action committees. 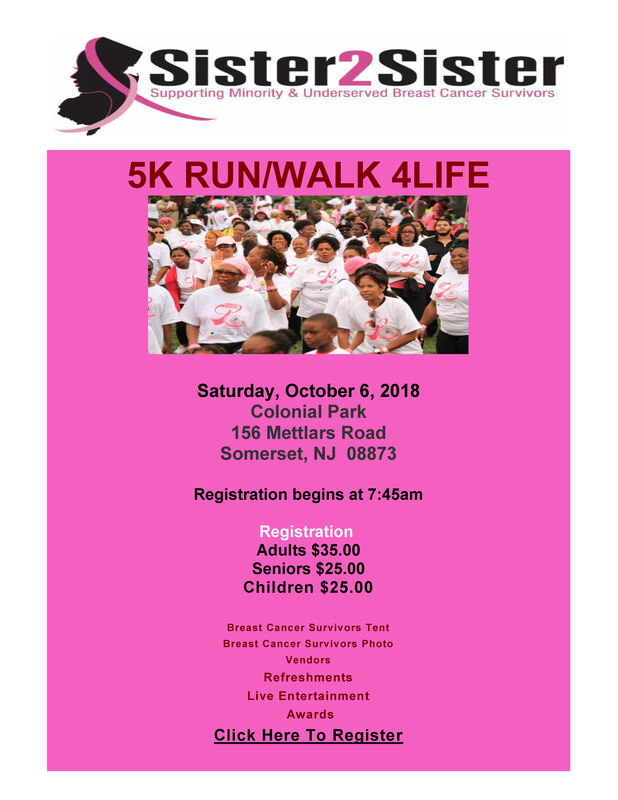 Sister 2 Sister is a local non-profit organization supporting minority and underserved community breast cancer survivors in the Central Jersey area. 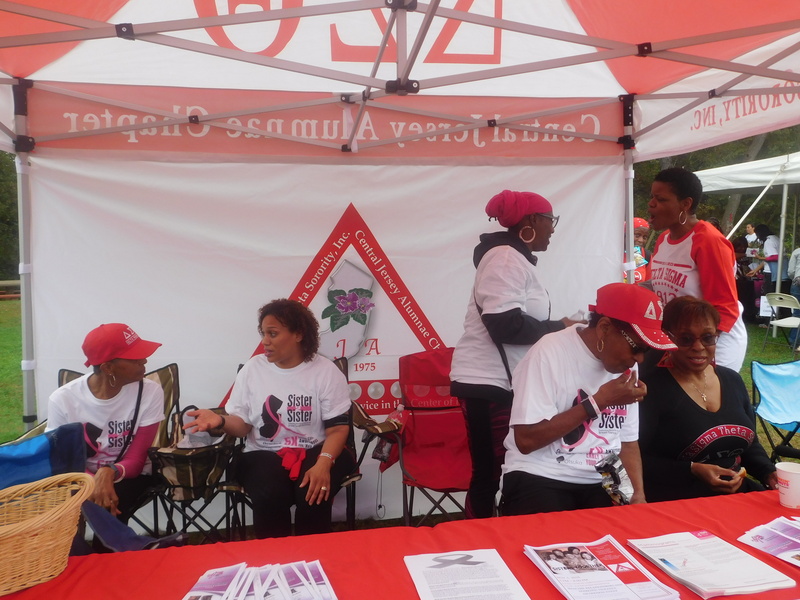 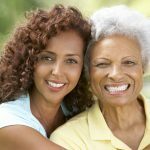 It provides breast health education, referral and resource information, as well as financial assistance to women facing financial challenges during chemotherapy and radiation treatment. 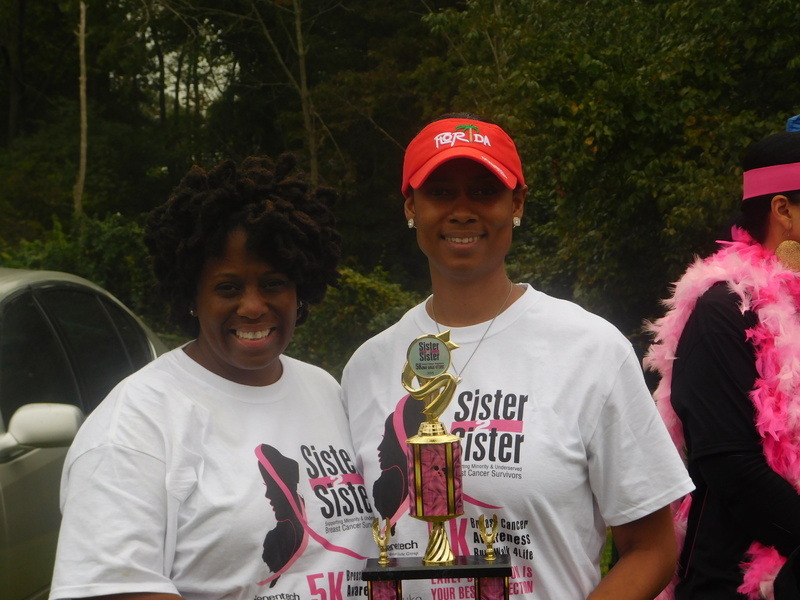 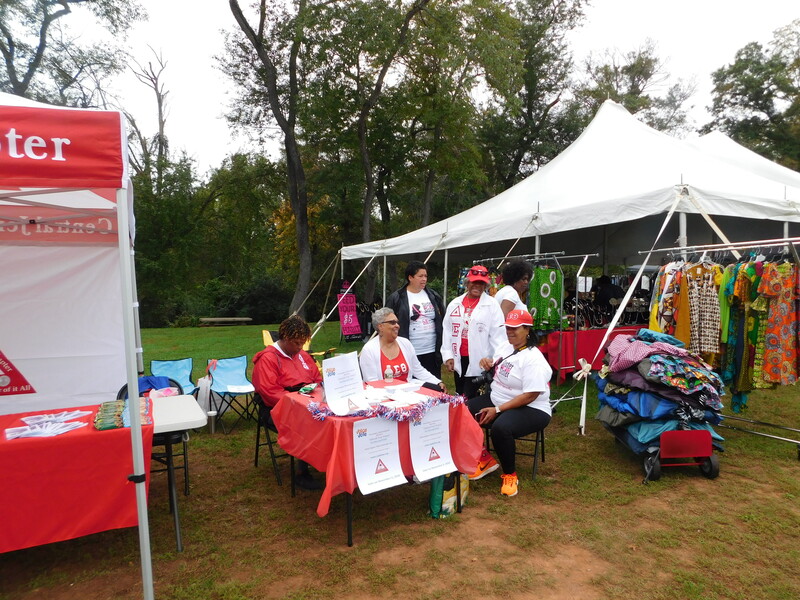 Sister 2 Sister registered 457 people and hosted 36 teams of supporters, including Team CJA. 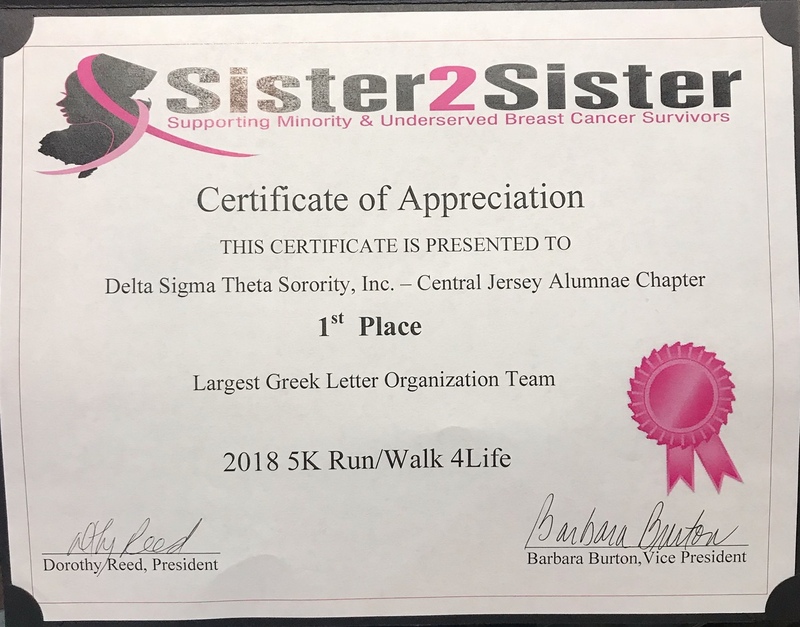 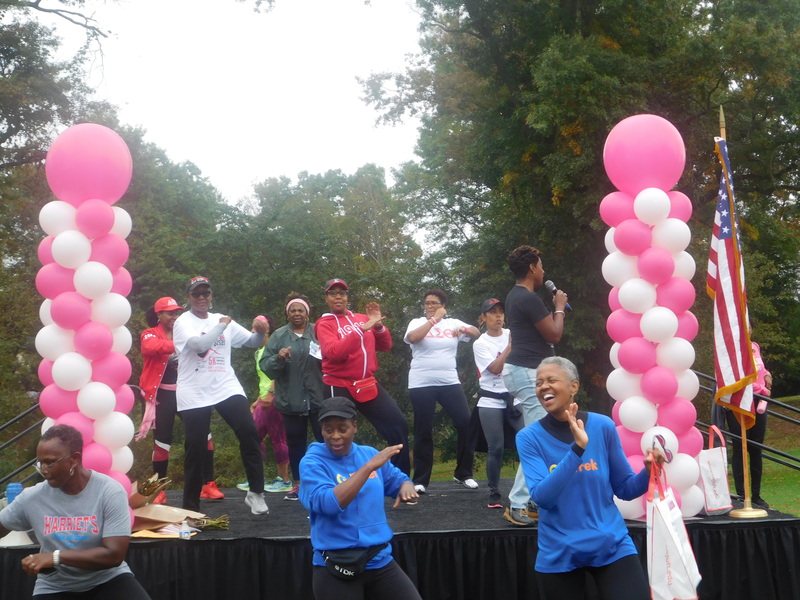 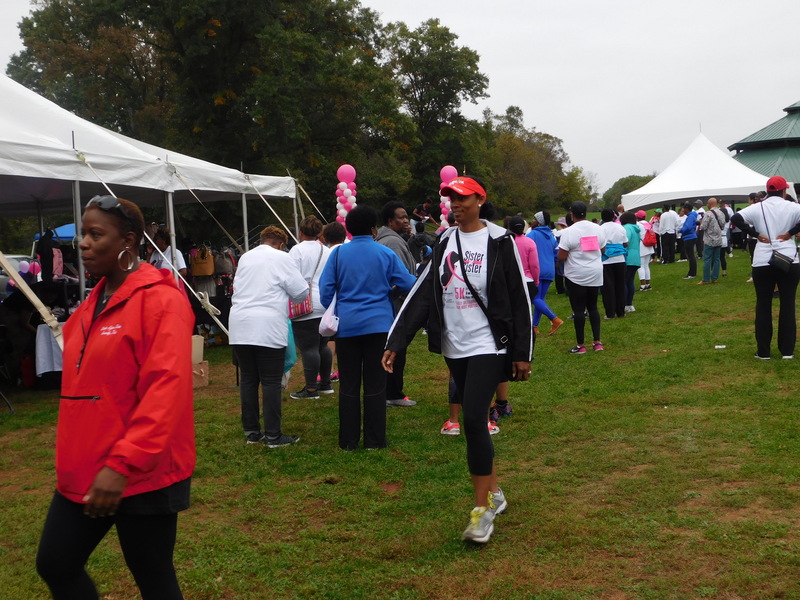 Team CJA donated $2,470, approximately 10% of Sister 2 Sister’s total donations, and registered 45 sorors to walk/run, which accounted for $1,425 in registration fees. 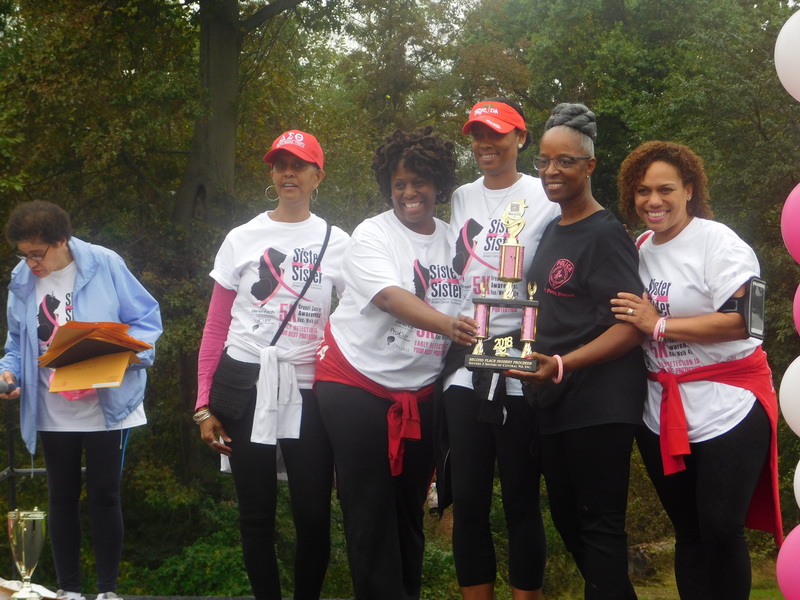 The event was highlighted by CJA’s acceptance of the second place trophy for the most contributions by a non-profit team. 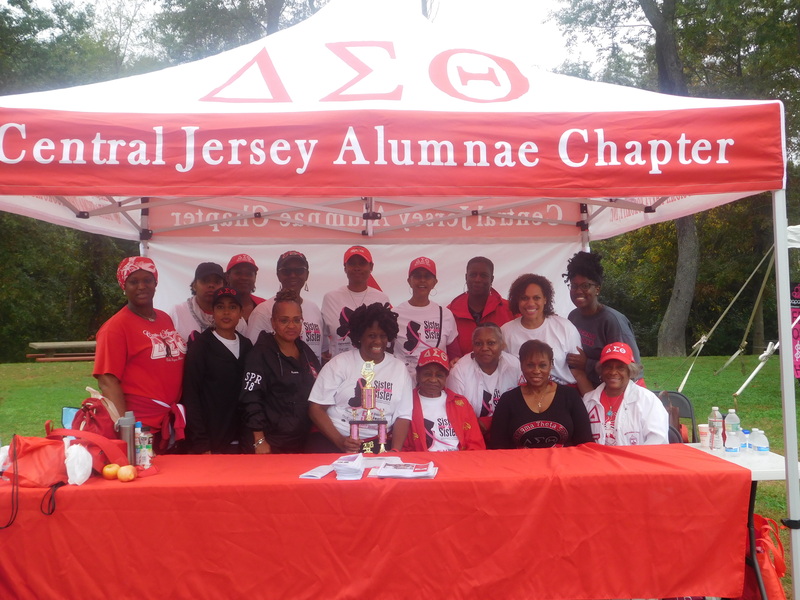 CJA was also awarded first place recognition for the largest participation by a Greek-letter Organization. 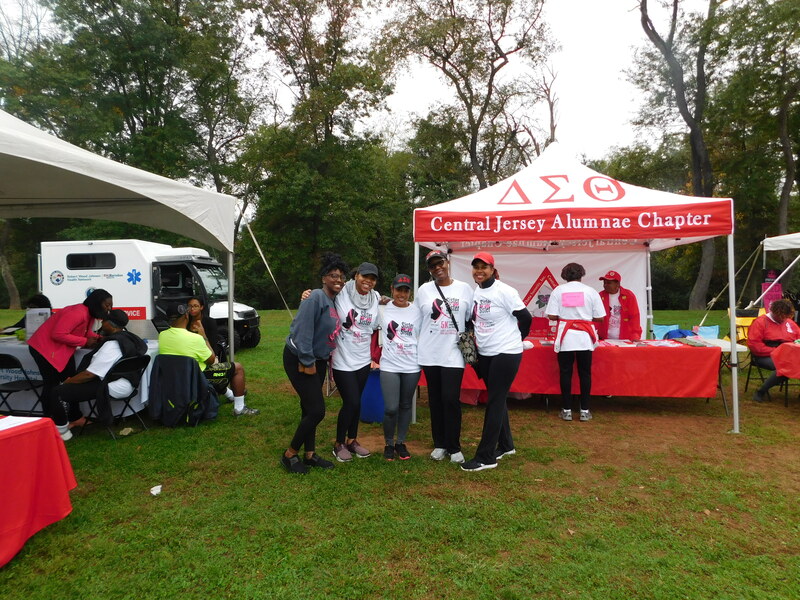 CJA had a strong presence at the event and even lead a portion of the 5K cool-down routine. 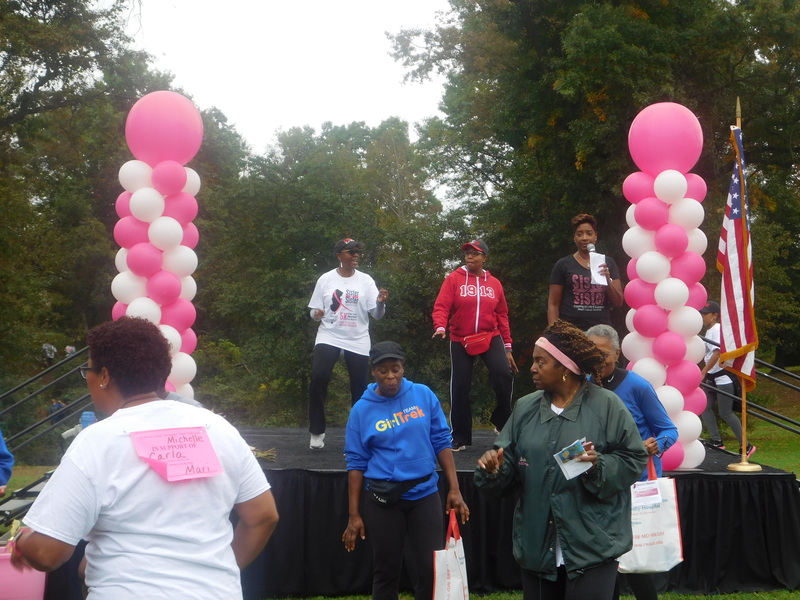 Sorors got a chance to strut their stuff on stage! 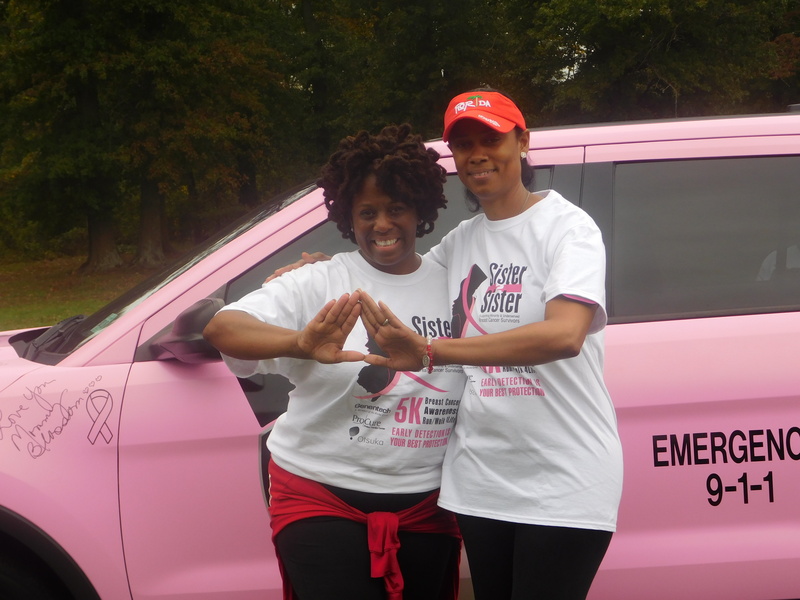 Sorors from age 30 to 70+ participated. 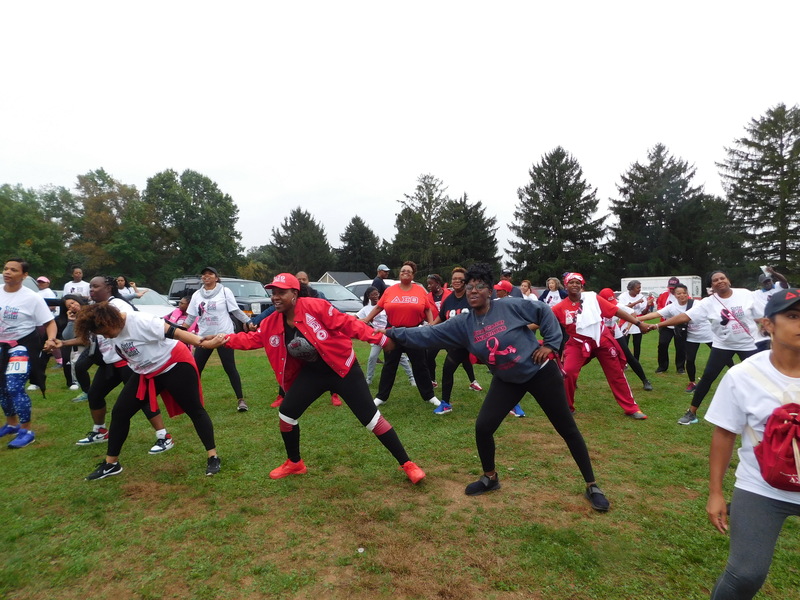 It was a great bonding experience, as well as an excellent way for Sorors to exercise with each other. 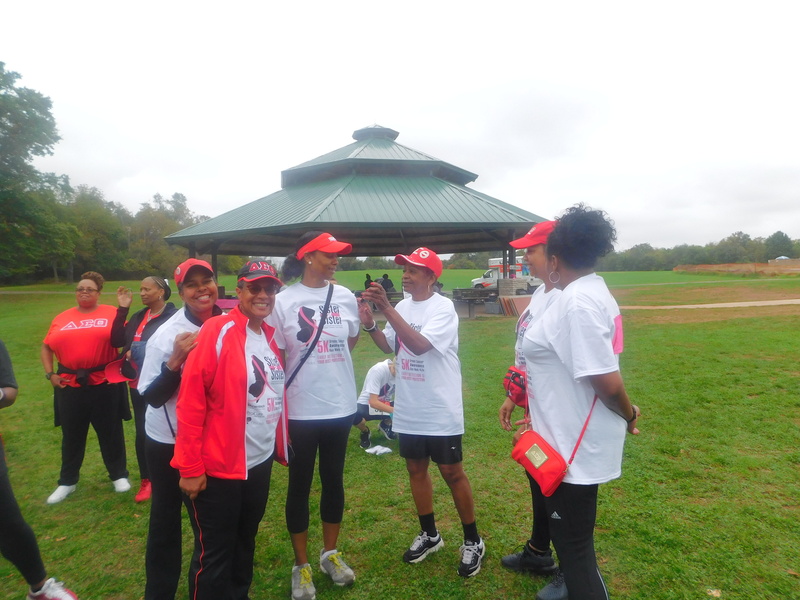 A great time was had by all and much needed funds were raised for a very worthy cause.